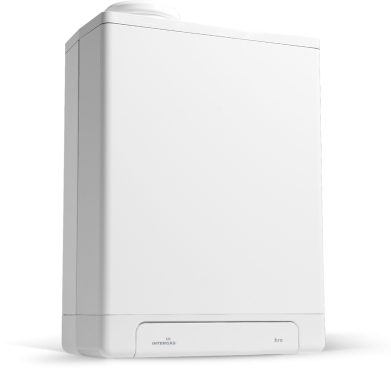 The Combi Compact HRE is a condensing gas boiler which is great for smaller properties as it doesn’t require an external water tank or cylinder; everything is wrapped up in one cost effective, wall mounted unit. Intergas have developed this boiler to a high level of efficiency to ensure it achieves the sought after B rating from SEDBUK. With efficiency levels reaching up to 89.1% you should notice a considerable drop in your energy usage and lower energy bills. This boiler has an output rating of 27kW making the unit perfect for those larger properties with multiple bathrooms. This boiler’s technology has been simplified to reduce the number of parts which can develop faults. Specifically, it has no diverter valve or valve motor, no hot water plate heat exchanger, no air pressure switch and almost no standby losses. The fewer parts in your boiler, the less there is to break down! This boiler has been recommended by the Energy Saving Trust and is a highly reliable boiler that won't let you down. This is backed up by Intergas’ 10 year warranty on the heat exchanger and 7 years warranty on parts subject to the return of the warranty card. Fewer parts means less breakdowns, actually no breakdowns. Great company to deal with, the reps are always so helpful. Fantastic boiler, the only one worth consideration. Reasonably priced too!